Lubrication technology for high performance and high quality. 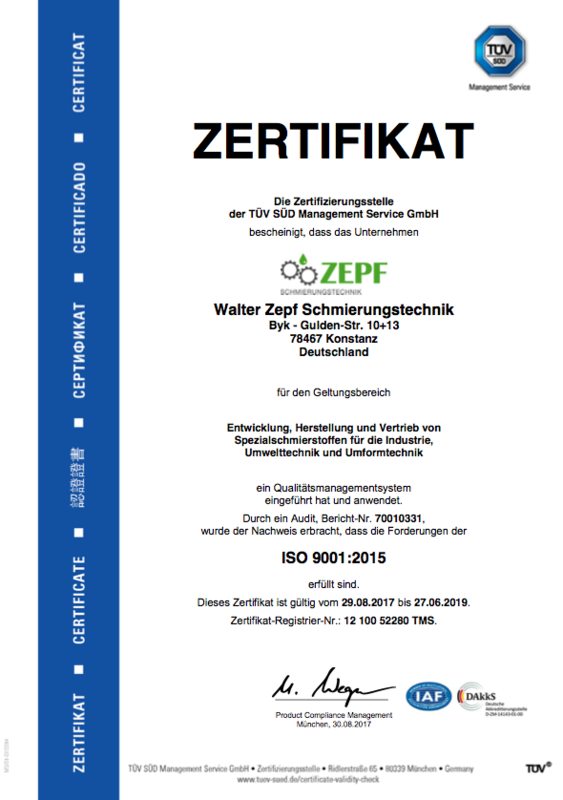 For more than 50 years, Zepf Schmierungstechnik stands for reliable and high-performance lubricants for both daily and most extreme applications. I accept the transmission of the entered data for processing my inquiry. For further information check our Information Privacy.